True love and tattoos tend to have a lot in common. Tattoos can evoke beautiful memories, but they’re also pretty painful. Most importantly, just like true love, tattoos never fade. Ever. So, if you’re thinking of getting tatted up with bae, you better make sure he’s your soulmate before you make a serious, skin-altering commitment. When it comes to getting some ink with your boo, there are two types of people in this world. 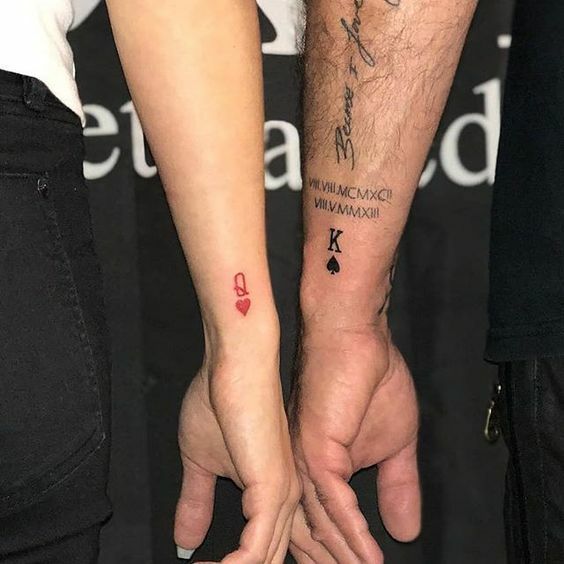 Here are some Matching Couple Tattoos Ideas–His & Hers King And Queen Tattoo, please check.